Carien is an entomologist by training and defines herself as a “weed biological control practitioner”. Currently she participates in a biological control programme targeting invasive perennial trees in South Africa. She derives great satisfaction from working in a field that has direct benefits for the environment, but which offers plenty of opportunity for exploratory field work both locally and abroad. She is intrigued by evolutionary processes, and has an interest in the evolution of host specificity of phytophagous organisms. A topic which has direct bearing on risk assessment protocols for weed biological control agents. Much of her research has involved evaluation of the efficacy of gall-forming midges (Diptera: Cecidoymiidae) introduced against invasive Australian wattles. As a result she also has an interest in South African gall-forming organisms and their associated parasitoids. 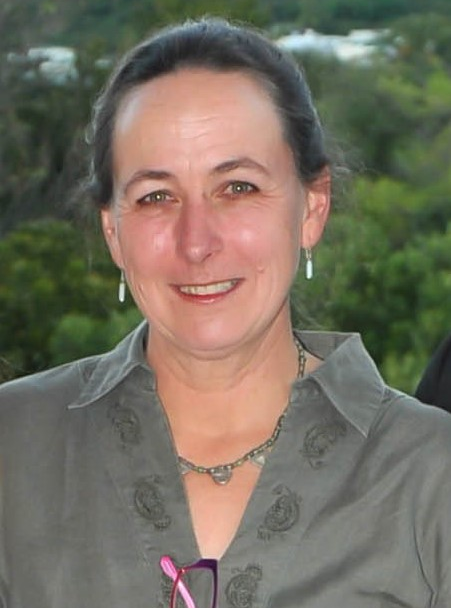 Carien joined the PCU in 2014 when the informally named “weed biocontrol research group” based at the University of Cape Town, became affiliated with the PCU. She contributes a short series of lectures on invasive alien species to the 3rd year conservation course. Kleinjan, C.A., Hoffmann, J.H., 2013. Advances in clarifying the phylogenetic relationships of acacias: Relevance for biological control. Acta Oecologica 48: 21-29. Impson, F.A.C., Kleinjan, C.A., Hoffmann, J.H., Post, J.A., Wood A., 2011. Biological control of Australian Acacia species and Paraserianthes lophantha (Mimosaceae), in South Africa. African Entomology 19(2), 186-207. Post, J.A., Kleinjan, C.A., Hoffmann, J.H., Impson, F.A.C., 2010. Biological control of Acacia cyclops in South Africa: the realized and fundamental host range of Dasineura dielsi (Diptera: Cecidomyiidae). Biological Control 53: 68-75. Impson, F.A.C., Hoffmann, J.H., Kleinjan, C.A., 2009. Australian Acacia species (Mimosaceae) in South Africa. In: Muniappan, R., Reddy, G.V.P., Raman, A. (Eds. ), Biological control of tropical weeds using arthropods, Cambridge University Press, UK, 38-62. Impson, F.A.C., Kleinjan, C.A., Hoffmann, J.H., Post, J.A., 2008. Dasineura rubiformis (Diptera: Cecidomyiidae), a new biological control agent for Acacia mearnsii in South Africa. South African Journal of Science 104, 247-249. Moseley, C.T., Cramer, M.D., Kleinjan, C.A., Hoffmann, J.H., 2008. Why does Dasineura dielsi-induced galling of Acacia cyclops not impede vegetative growth? Journal of Applied Ecology 46, 214-222. Kleinjan, C.A., Edwards, P.B., 2006. Asparagus weeds in Australia – a South African perspective with emphasis on biological control prospects. Plant Protection Quarterly 21(2): 63-68. Kleinjan, C.A., Edwards, P.B., Hoffmann, J.H., 2004. Impact of foliage feeding by Zygina sp. on tuber biomass and reproduction of Asparagus asparagoides (L.): relevance to biological control in Australia. Biological Control 30: 26-41. Kleinjan, C.A., Morin, L., Edwards, P.B., Wood, A.R., 2004. Distribution, host range and phenology of the rust fungus Puccinia myrsiphylli in South Africa. Australian Plant Pathology 33: 263-271. Kleinjan, C.A., Edwards, P.B., 1999. A reappraisal of the identification and distribution of Asparagus asparagoides in southern Africa. South African Journal of Botany. 65(1): 23-31. Kleinjan, C.A., Scott, J.K., 1996. Selection of Cassida spp. from southern Africa for the biological control of Chrysanthemoides monilifera in Australia. Annals of Applied Biology 128: 373-385. Scott, J.K., Kleinjan, C.A., 1991. Bridal Creeper (Myrsiphyllum asparagoides) in Australia and developments towards its biological control. Plant Protection Quarterly 6(3): 116-119. Impson FAC, Kleinjan CA and Hoffmann JHH (Eds.) 2014. Proceedings of the XIV International Symposium on the Biological Control of Weeds. 232pp. Skukuza, Kruger National Park, South Africa. 2-7 March 2014. http://www.isbcw2014.uct.ac.za. Kleinjan, C.A., 2015. Report to the Department of Agriculture, Forestry and Fisheries, Republic of South Africa, To apply for: Permission to import and subsequently release from quarantine facilities at ARC-PPRI Stellenbosch, the seed-reducing midge Dasineura pilifera (Diptera: Cecidomyiidae), for the biological control of Acacia baileyana and Acacia decurrens (Leguminosae: Mimosoideae). 33pp. Kleinjan, C.A., 2008. Asparagus scandens (Asparagaceae) surveys - summer 2007/2008. Prepared for Landcare, New Zealand. Kleinjan, C. A., 2007. Asparagus scandens (Asparagaceae) - distribution, phenology and associated natural enemies in South Africa. Prepared for Landcare, New Zealand.